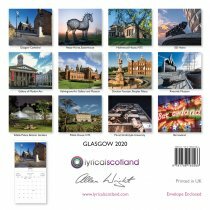 24 page format offering a full page for the image and a full page with date boxes. Each calendar is shrink-wrapped with a card stiffener for protection in transit. 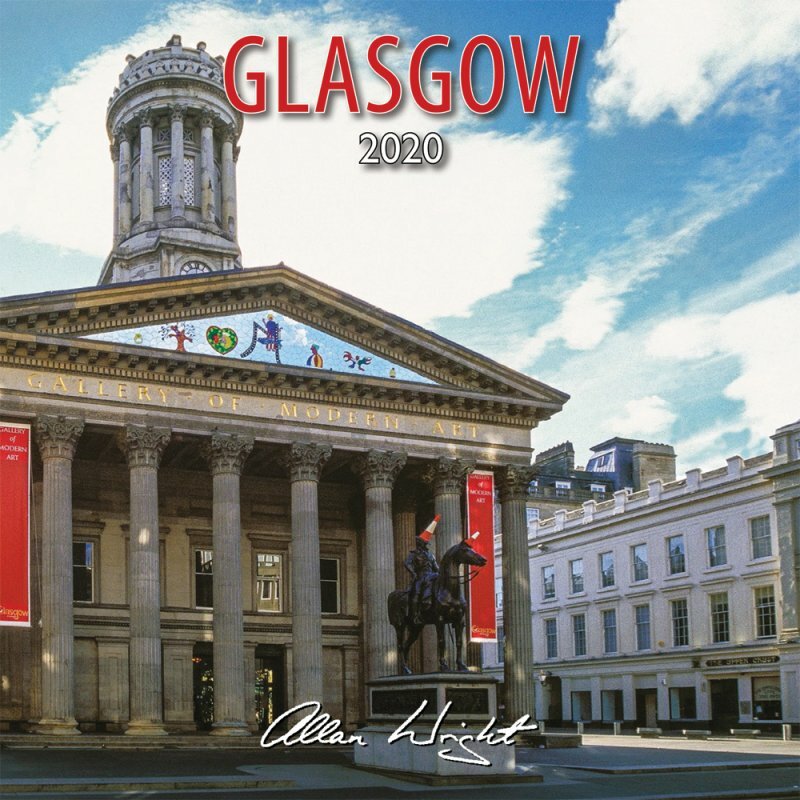 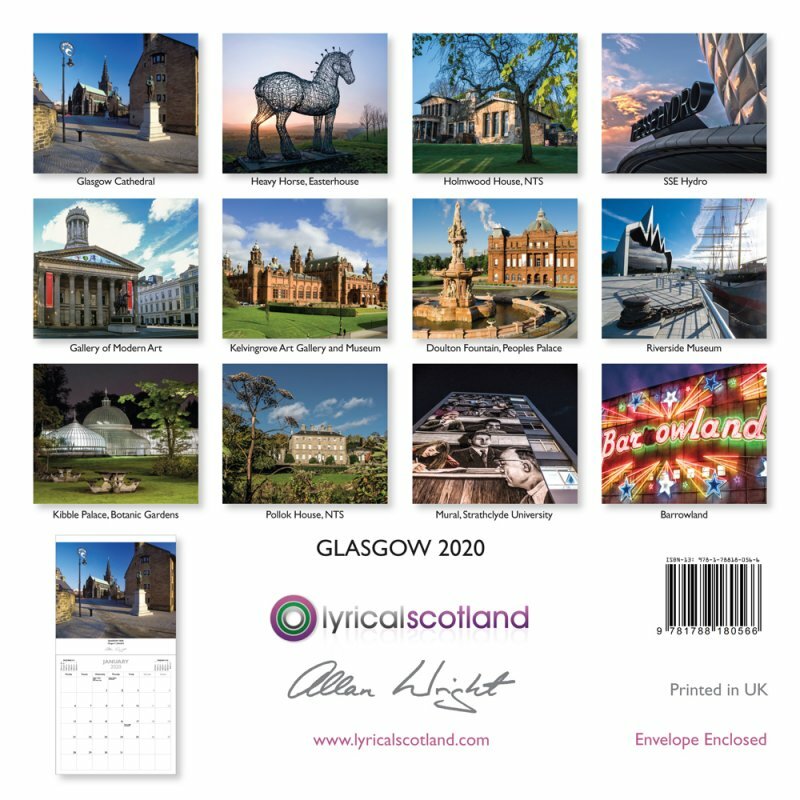 Images included are; Glasgow Cathedral; Heavy Horse, Easterhouse; Holmwood House, NTS; SSE Hydro; Gallery of Modern Art; Kelvingrove Art Gallery and Museum; Doulton Fountain, Peoples Palace; Riverside Museum; Kibble Palace, Botanic Gardens; Pollok House, NTS; Mural, Strathclyde University; Barrowland.